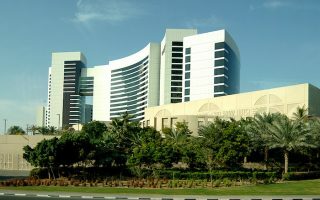 Running in Dubai, United Arab Emirates. 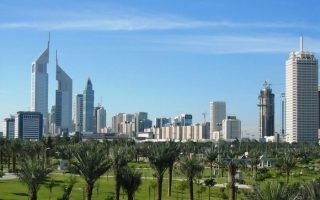 Best places to run in Dubai. Located on the southeast coast of the Persian Gulf in the Arabian Desert, Dubai is largest city in the United Arab Emirates. A major business and transit hub, Dubai is known for its towering skyscrapers, resort quality beaches, and public parks which, owing to the city’s wealth, are nothing short of architectural gems. Running in Dubai is varied and exciting, with a landscape highlighted by the Gulf coast, sandy dunes, western mountains, and man-made gems. 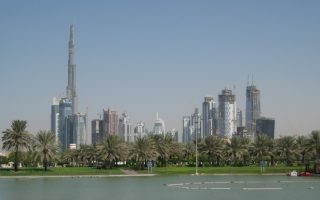 The best places to run in Dubai are along the waterfront in the Dubai Marina, Dubai Creek, and 10 km+ along Jumeira Beach, much of it on jogging tracks. 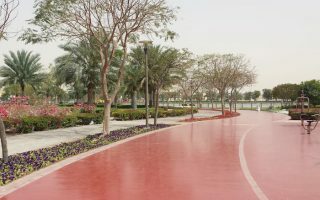 Many of Dubai’s parks feature rubberized jogging paths that are great for everything from a quick lap to a longer tempo run (some require an entry fee). Most of Dubai’s roads are very wide and busy with cars, but they also feature wide sidewalks, which are fine for running. Dubai is a rather large and sprawling city. You may want to consider picking up a Nol smart card, which will allow you access to the extensive (and fast!) metro system and city buses. Note: Be knowledgeable about cultural sensitivities and dress when running in Dubai. 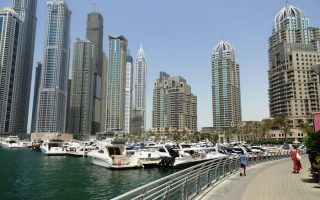 The 8 km promenade alongside Dubai’s Marina is one of the most scenic runs in Dubai, with towering skyscrapers lining the paved path on one side, and turquoise waters and yachts on the other. The coastline of the Jumeirah Corniche is the ideal spot for a long waterfront run, much of it with on-beach running tracks. Good stretches are nearly 10 km from Umm Suqeim Park to the Dubai Zoo, almost all of it on tracks. 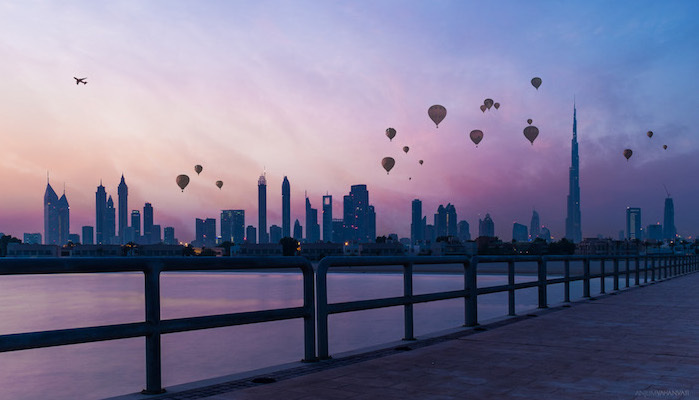 Dubai Creek Park, tucked into the northern bend of the river between the hospital and the Hyatt, includes a 4 km circuit loop around the beautifully landscaped park. 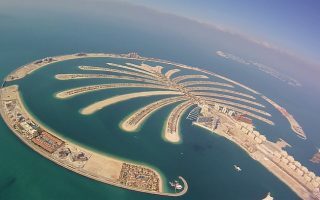 Spectacular run around the waterfront edge of this palm shaped, man-made resort center of Dubai which juts into the harbor between the Marina and Al Sufouh Beach. You can run 11 km along The Crescent, or 2.7 km on the 'trunk' in Al Ittihad Park. The most popular designated running track in Dubai, Al Barsha has a spongy 1500m running surface around a nicely landscaped pond. The 2.5 km track around the perimeter of Al Safa park, on the south side of Dubai Creek, is popular among local running groups. Zabeel Park has plenty of walking paths and fitness equipment, but the best route is undoubtedly the designating jogging track which encircles the park in 2.5 km lap. This is a hot, desert climate. Summers are brutal: hot, windy, and more humid than one would think for a desert climate. Please use caution when running in summer, as average high temperatures average over 100F (38C) from May-October and 44C (111F) in July and August. Summer nights do not cool off, with averages in the low 30s (90F). Winters are much more pleasant for running, with high temps in the mid 20s (75-80F) and nights that dip into the teens (60s). Precipitation is relatively rare. Do be aware that dust storms can occur. 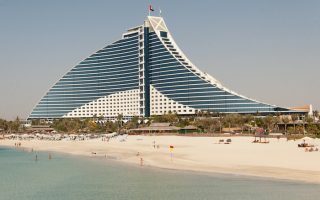 Look for lodging at VisitDubai.com. Most running stores in Dubai are chains, but you can find great shoes and other equipment at the Outlet Mall and the Mall of the Emirates. For a running group (which hosts lots of expats) check out the Desert Road Runners club or the Dubai Creek Striders. Find a list of upcoming races in Dubai here.